It was obvious what the Los Angeles Kings had atop their to-do list this summer. Sign Tyler Toffoli and Anze Kopitar to contract extensions, bring in a d-man to fill the hole left by Andrej Sekera and Robyn Regehr, and bring in some offensive help. Easy enough, right? Well, the Kings have gotten the majority of their tasks done. Extend Toffoli – check. Bring in a strong defenseman – enter Christian Ehrhoff. Find some offensive help – welcome Milan Lucic. But the one major item still not completed is getting Kopitar locked up long-term. Last week, a report from The Fourth Period was published saying Kopitar and the Kings have been talking but haven’t gotten to a “serious state” just yet. The Kings’ management brass started dialogue with Kopitar’s agent, Pat Brisson, in early-July, but league sources have told TFP that (the) deal is far from imminent and negotiations have not entered yet a serious state. The announcement that the Kings and Kopitar’s camp are not close to a deal has left the Kings’ fan base a bit confused as to what the hold up is. But here are few things to take away from the situation. This has to be the biggest point when looking at Kopitar’s situation. If it was the last week of June 2016 and things were still far from getting settled between the two parties, that would be a problem. But it’s not. The Kings have almost a full calendar year to get things done. Sure, they would like to get Kopitar locked up as soon as possible. But the Kings don’t have to get things done months in advance; they don’t even have to get things done days in advance. As long as a new contract is signed before July 1, 2o16, before other teams can come knocking at Kopitar’s door, the Kings will be in good shape. 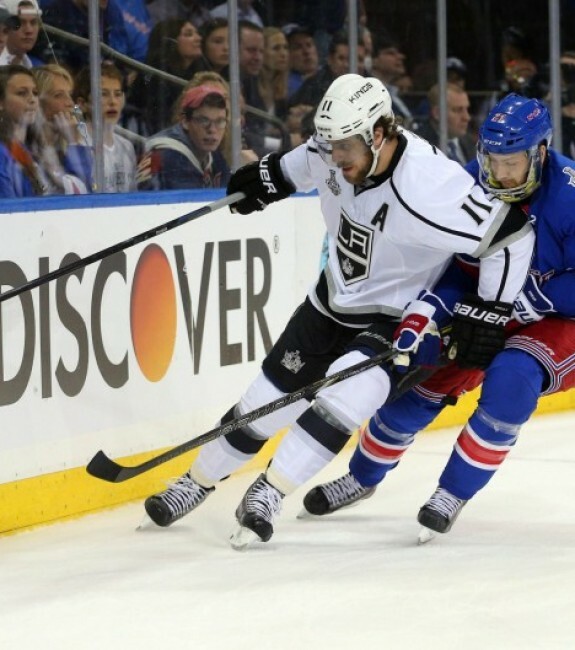 Outside of Kopitar, the Kings have some bigger issues looming. The Kings are in the middle of a legal battle with Mike Richards, whose contract was terminated at the beginning of summer. Following the termination, the NHLPA filed a grievance in Richards’ behalf. Richards was scheduled to make more than $22 million dollars over the course of the remaining five years on his contract. Will the Kings have to give Richards that remaining cash? What will go back onto the books once all the legal battles are settled? At the same time, Los Angeles is waiting for Slava Voynov’s situation to get cleared up. Voynov is in the midst of serving a 90-day jail sentence in result of pleading no contest to a misdemeanor count of corporal injury to a spouse. Will Voynov be allowed to skate in the NHL again? Will the Kings bring Voynov back if he is allowed back into the NHL? All of these questions will eventually be answered, but are still in the air at the moment. As of now, General Fanager has the Kings listed as having just over $4.84 million in cap space. This number could change drastically depending on the outcome of these two situations. Voynov’s cap hit alone is just over $4.16 million. The Kings’ pocket book is tight. Kopitar’s contract is going to be a hefty chunk of change, this is no secret. But understanding exactly how much money is available and when it will be available is being held up with the legal troubles associated with Richards and Voynov. As much as fans hate it, the NHL is a business and this means hockey players need to get paid a certain amount of money depending on their play. This keeps everything in check; it keeps players from ripping off teams and teams from ripping off players. One player messing up the balance could throw everything out of whack. This set up Kopitar’s contract talks before they even started. It’s time for Kopitar, a two-time Stanley Cup champion and possibly one of the best two-way centers in the NHL, to get paid and get paid nicely. Comparable players to Kopitar include Jonathan Toews and Patrice Bergeron. Toews signed a new contract last summer worth $84 million, carrying a $10.5 million cap hit over eight years. Bergeron is currently riding out a $55 million deal with a cap hit of $6.875 million. Expect Kopitar to end up somewhere between those two figures. Mentioned in the same TFP report was that the dollar amount seemed to be the primary thing holding up the process, and rightfully so. Like it was mentioned above, the Kings are tight on money. 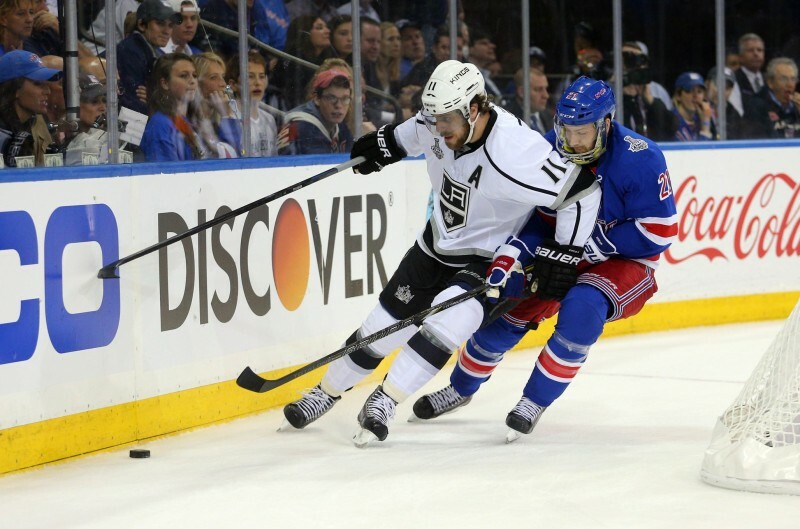 Where the money, and how much, will come from to sign Kopitar will likely be a challenge. It is no secret the Kings want to lock Kopitar up for the max eight-year term, and that doesn’t seem to be the problem. Both sides are waiting on the one thing that everything revolves around, the money. But remember, there is still plenty of time.